In recent EPiServer research, the department store retailer managed to score 75 percent. 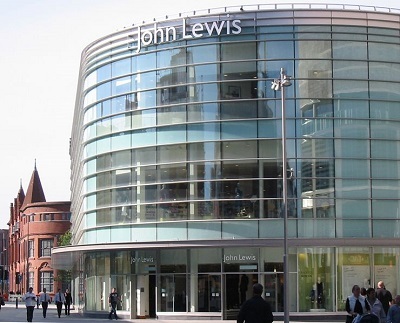 John Lewis, a large British department store, has scored extremely well in the latest EPiServer Mobile Commerce 2014 report, when it comes to the smartphone and tablet based shopping experience. The company was only just slightly ahead of some of its biggest competition, such as Amazon UK and Argos. The EPiServer report provided the results of an annual study that took the leading 20 retailers in the United Kingdom into consideration. This report has now reached its third year and has shown that while some retailers are excelling in mobile commerce, others are facing a considerable struggle in providing the type of seamless, friction free m-shopping experience that is now expected by consumers. Mobile commerce is becoming considerably more sophisticated and is evolving quickly. The average score that was recorded by the research was 47 percent effectiveness for m-commerce. Comparatively, last year the average score had been 55 percent. This suggests that as the technology and expectations become more complex, retailers are having a hard time being able to keep up. The study took into account Android and iOS dedicated apps for both smartphones and tablets, as well as mobile sites. It took a number of different factors into consideration, including location based and geolocation tools, multi-channel experiences (such as the “click and collect” option that allows a consumer to make a purchase over a smartphone and then simply pick it up in the store), in addition to direct contact with customer service options, social sharing features, and personalized content. A rise in mobile device usage could be good news for travel advertisers. Based on the findings of a recent study that was conducted by Millennial Media, the leading independent audience platform in digital advertising, mobile commerce may be very promising for travel advertisers because more consumers are using their smartphone, tablets and other similar mobile gadgets for travel purposes, such as researching, booking trips and hotels, and engaging in other travel-related activities. Mobile consumers are devoting more of their time to engaging in mobile activities using diverse devices. Millennial Media’s Travel Report has found that this trend has resulted in an increase in the use of mobile in relation to travel. According to the study, of the total digital advertising spending in the travel sector, m-commerce sales are responsible for 12 percent of it and it is on the rise. According to eMarketer, by 2017 it is predicted that US travel mobile commerce sales will be $55.5 billion, which is a 247 percent increase from the $16 billion of last year. The report, which is part of Millennial Media’s Mobile Intel Series, offers travel advertisers mobile insight and guidance. It provides an in-depth look at the major traveling trends that occurred across the globe throughout 2013. Specific focus was placed on how travel brands have utilized m-commerce to target and immerse consumers, as well as which brands are investing in advertising strategies that target travel and mobile markets. The main travel mobile commerce audience is men between the ages of 25 and 44. In addition to this finding, the study also said that consumers who used their mobile devices for research and booking travel used more than one gadget. Also, consumers are utilizing mobile for the different steps of the travel process, including researching their options, attractions and accommodations, as well as booking trips via their smartphone, tablet, etc. They also use their mobile during their travels to help them get around and even for writing reviews of their experiences once they are over. To take advantage of the current trends, the report suggests that travel brands and advertisers need to invest in mobile commerce by growing their mobile sites, so they can offer users an engaging and mobile friendly experience.